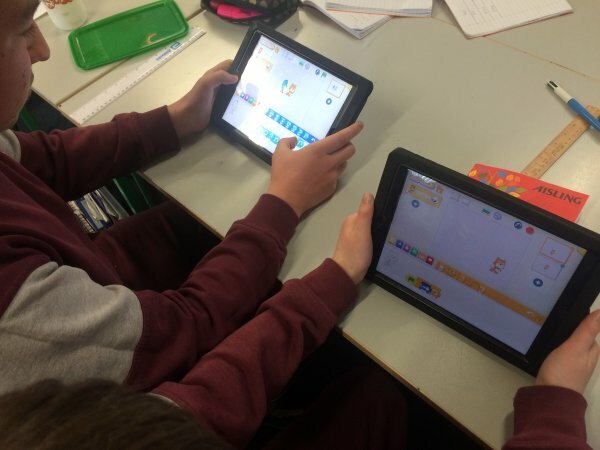 Archive by category "Step Two – Technology"
Many classes in our school enjoy Scratch which is on our School iPads. Scratch is a free programming language where you can create your own interactive stories, games, and animations. 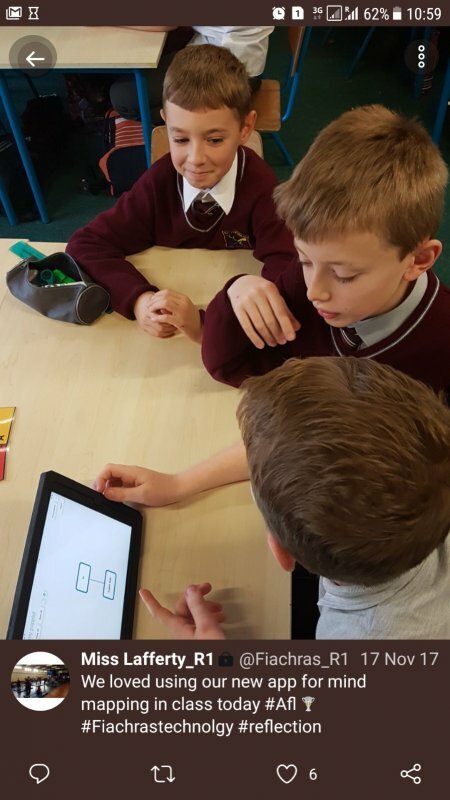 Every class in the school enjoys using our School iPads. We use them for research and for lessons. 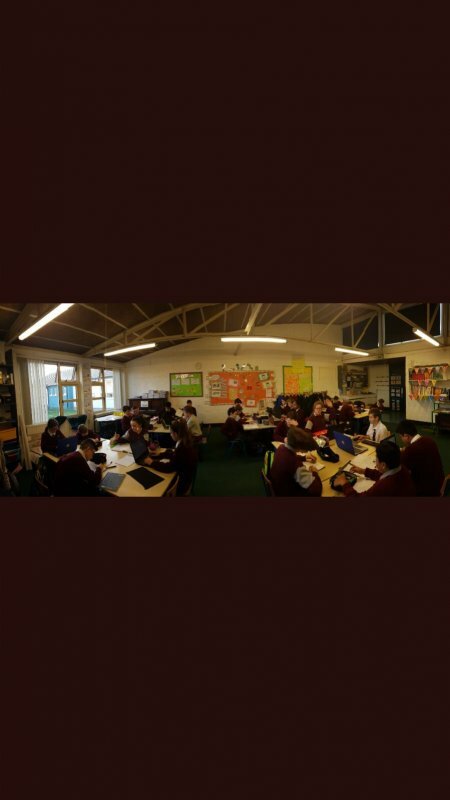 Here we see a 6th class who use their own digital device on a Wednesday in school. They use their own digital device for schoolwork in school on a Wednesday. Wednesday is called BYOD day (Bring Your Own Device). In our school we use many different digital methods when we present our projects. Prezi and PowerPoint are two of the digital presentation methods which we use. Children researching for their projects using the school’s newly acquired iPads!! Everyone enjoys iPad time!